Yam's character on the much talked about show 'Halik' seems to be the most hated on prime time. As of late, there’s never been a more hated character than Yam Concepcion’s role in the hit Kapamilya television series, Halik, wherein she assumes the persona of an adulterous wife and mistress as Jade Bartolome. It is for this reason that StarStudio.ph recently thought of inviting the up and coming actress for a special guesting to take on the Mean Tweets challenge, wherein she has to read and respond to some of the nasty comments about Jade that were published on Twitter. 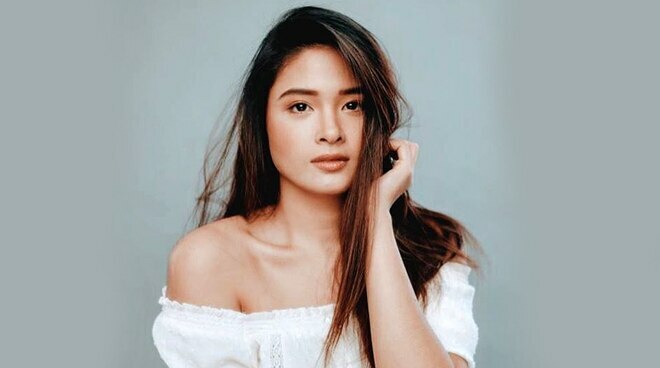 READ: Bakit malaki ang pasasalamat ni Yam Concepcion sa kanyang mga bashers? Somewhere throughout the game, Yam herself admitted that she thinks of Jade as overly insecure as well. “Oo, sobra naman talaga. Insecure naman talaga si Jade. Tsaka nagkalat talaga siya no’ng party. Ang dami niyang ininom na alak. So rock on, Jade! Inuman lang,” said the star in jest relating to the scandalous scene at a party against her rival, Jacky Corpuz, played by fellow actress Yen Santos. And speaking of that episode, Yam couldn’t help but get sentimental as she talked about a particular scene where Jericho Rosales’ character, Lino Bartolome, decided to rescue a drunken Jade from the streets despite their already failing marriage. “Hay, naku, alam mo. This episode, ‘di ba nag-away kami ni Ace Corpuz, tapos tinabi niya ako doon sa daan. Kakapanood ko lang kagabi. Alam mo, pati ako umiyak. Sobrang ano talaga. I need a Lino in my life. ‘Yung ang dami mong kasalanan, ang dami mong flaws, ang dami mong imperfections, pero, alam mo ‘yun, andun pa rin siya para sa ‘yo. Na wala ka nang matakbuhan but there’s this one person who will just be there and who will love you unconditionally and that’s Lino.” mused the 30-year-old star. For the month of November, Yam fronted the digital magazine of StarStudio, wherein she “spilled all the hot revelations” about her character and opened the doors to her lovely home in an exclusive cover story. Just recently, the actress was also chosen as the muse of a local fashion mag for their December issue, yet again proving herself to being the industry’s next big thing. To see more from Yam’s acting prowess, catch her as Jade in Halik weeknights on ABS-CBN.